Your child might not consider their homework the best way to spend their afternoon, but they need to do it regardless. How can you make the process easier for your youngster? Here are some tips on how you can help out. Teachers use homework to evaluate how much children are learning. While you can be there for your child if they get stuck, they should be able to complete their work alone for the most part. If you’re constantly there to help them fix their mistakes or do their assignments for them, your child will not learn at all. 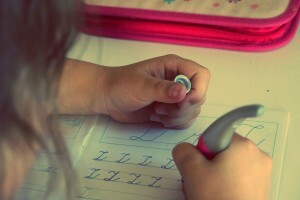 For some children, it’s better to finish their homework right after school. Others do better when they complete their assignments after dinner. Not all students perform their best at the same time of the day. Help your child find the time where they’re most productive and schedule their homework time around it. The bed is not a good place to work on homework. You should set up an area to help your child be more productive. Their homework space should have good lighting, a solid desk, a comfortable chair, and the necessary supplies they require to finish their assignments. The area should be away from distractions that will make them lose focus. Children need encouragement to push them to do better. You should praise their work often to inspire them to push further. You should also keep a positive attitude towards homework. If you aren’t able to help your child with their assignments, consider enrolling them in an after school tutoring program. Contact The Tutoring Center, Bear DE to find the best tutoring programs in town. Their academic programs can help your child with their homework struggles. Call The Tutoring Center, Bear DE at 302-419-4824 to learn more about their programs.